Raithwaite Estate is located in-between the historic town of Whitby and the quaint seaside village of Sandsend. Overlooking dramatic coastline, the Raithwaite Estate is both a luxury seaside resort and a country hotel retreat, with easy access to Whitby town, North Yorkshire, the Yorkshire Moors and National Parks. York city centre is one hour away by car whilst Leeds is a 90-minute drive. Other close cities include Newcastle (90 minutes), Durham (80 minutes) and Hull (100 minutes). Whitby has been a port for more than 1, 000 years and is still a seafarer's town today. It is unspoilt, bursting with character and it has changed little since the days when the famous Captain James Cook lived and worked here. The traditional maritime town with its old cobbled streets, picturesque houses and sandy blue flag beach, is dominated by the cliff-top ruins of a beautiful 13th century Abbey. 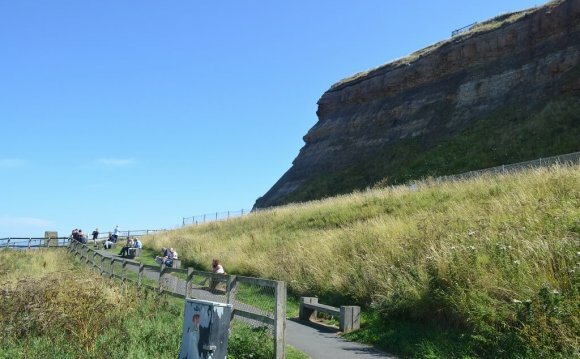 Whitby has much to see and do, with a selection of diverse attractions including the Captain Cook Memorial Museum, Victorian Jet Works, the Dracula Experience, Pannett Park and Whitby Museum, all providing visitors to the town with a fantastic look into its rich heritage. The Whitby Wizard, a hands-on science centre for both adults and children alike is definitely worth a visit. Whitby is also well known for its connections with Bram Stoker’s Dracula, being one of the locations in this world famous novel. Whitby’s historical and cultural significance as well as the beautiful scenery of the town and area will further enhance your stay at one of our luxury Whitby hotels or private cottages.